People frequently plan vacations and trips. Unfortunately, circumstances may arise when individuals become sick or require medical attention during these times away. To ensure proper medical treatment, travel insurance is essential. Becoming ill or injured in foreign surroundings is not fun but having a solid insurance plan makes it easier to receive affordable care. Despite the type of regular health insurance a person possesses, travel insurance primary medical coverage is the first source of payment for necessary treatments during a trip. Secondary medical coverage kicks in after regular insurance. Secondary coverage pays co-pays, deductibles, and other out-of-pocket costs up to the term limit. If you do not have any primary insurance in place that would cover you, a secondary policy will essentially act like a primary coverage. With normal medical insurance, most people are billed after services are rendered. However, most travel plans require individuals to pay the bills up front. When returning home, these expenses are submitted through claims, and reimbursements are issued. For added convenience, certain primary coverage plans will sometimes arrange for advanced payment. An individual with a Medigap or Medicare supplement may have coverage at any location, but this type of plan only covers 80 percent of the bills. Also, there is a lifetime limit of coverage set at $50,000, so it is vital to keep track of the claims. With a primary coverage trip insurance plan, the lifetime limit will not be affected. This means a person will have more available coverage for a later time at home. Although every insurance policy covers different items and provides various benefits, price may be a major consideration when choosing a policy. Many individuals believe primary coverage costs much more than a secondary plan. However, this is not always the case. In many instances, a primary plan is only a few dollars more. 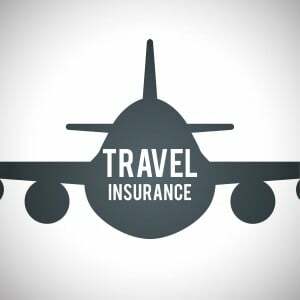 Before traveling and agreeing to any insurance coverage, it is essential to read all the terms and condition of each policy. Although many people believe primary plans are smarter options, there may be better coverage alternatives. It is always best to compare all providers and plans before making a purchase.